What is an Ohio Rental Application? 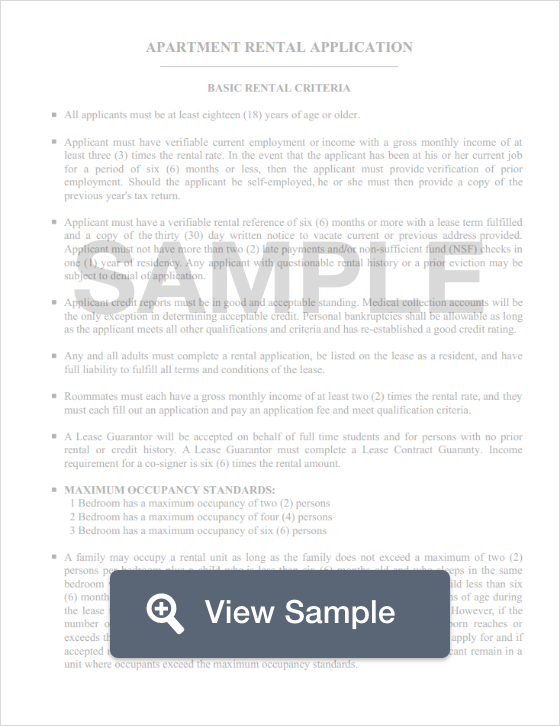 Ohio Rental Application: What Is It? A rental application is a form given to applicants to disclose their personal information that will help a landlord determine whether or not the applicant will be a reliable, responsible tenant. Rental applications inquire information of the applicant, such as income statements, bank statements, and other history such as past bankruptcies and previous evictions. In addition, rental applications provide protection in the sense that they must conform to federal fair housing laws that prevent discrimination based on color, creed, sexual orientation, race, religion, or disability. Landlords generally charge a fee for each application that is turned in; generally between $25 to $75 per application. Ohio doesn’t have any state laws that dictate how much a landlord may request for a security deposit, however, landlords are instructed to return the security deposit to a tenant within 30 days. For residents who’s tenancy lasts longer than 6 months, landlords must pay them 5% interest on their deposit per year (Ohio Rev. Code Ann. § 5321.16).